IDBI Bank has launched ‘NRI-Insta-Online’ account opening process for NRIs residing in Financial Action Task Force (FATF) member countries. The Non-Resident Indians (NRIs) which are currently living in nearly 40 countries will now be able to open an account in IDBI Bank without submitting paper documents, the lender said Tuesday. IDBI Bank has launched ‘NRI-Insta-Online’ account opening process for NRIs residing in Financial Action Task Force (FATF) member countries, it said in a release. IDBI goes paperless for Non Residents of India means the person will not be required to furnish physical documents as well as KYC proofs for opening an account with the IDBI bank. 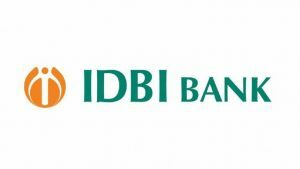 “NRIs desirous of opening account can now access the ‘NRI Insta-Online’ on the bank’s website via web module, upload the supporting documents and choose the branch in which the account needs to be opened,” IDBI Bank said. On successful scanning, uploading and verification of the documents, the account is instantly opened and electronic advice is sent to the customer. The lender said this is a user-friendly initiative that will help NRIs to open the account without any need to visit the branch or submit physical KYC documents. FATF is an inter-governmental body which devices policy and sets standards to promote effective implementation of legal, regulatory and operational measures to combat money laundering, terrorist financing and other related threats to the integrity of the international financial system. The body has 38 member countries, including the US, UK, India, Japan, China and France, among others.